Summer’s not over yet, friends! 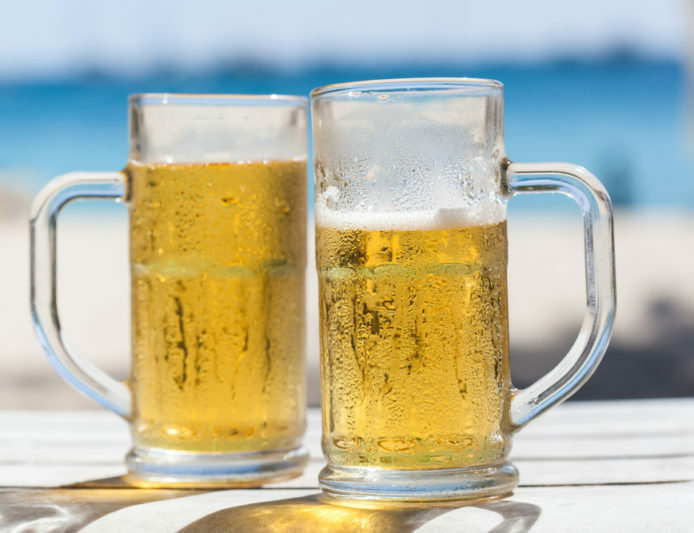 Make sure to grab at least one of these 10 awesome summer brews to help you cool down. There’s a reason it’s a classic. We guarantee you’ll enjoy every drop out of that boot. You know the taste of an apricot as the juice drips down your chin? This is the beer equivalent. We’re sure the whalers sailing outa Boston would’ve killed for a sip of this on a hot summer day. You’re gonna want to do the same before jumping into the waiting waves. This super chill, pineapple spiced IPA from San Diego will give your sweet tooth a tease before hitting you with some hopped bitterness. This pilsner takes the best pilsner quality (ease of drinking) and combines it with a powerful spice combination. You won’t find bland anywhere near here. This Belgian-style Witbier will have you imagine a mysterious beverage from the orient not a craft brew from Massachusetts. If you like shandies, you should make your own using Witte. It’s is so smooth, your tastebuds will think it’s honey. Let’s agree that Midwesterners know how to make beer. You’ll know good times in the sun are ahead when Oberon’s blue label is found on taps and bottles everywhere. Drinking Hennepin is like drinking a cool glass of water. We’re not kidding! If you bust your water filter, we’ll understand. 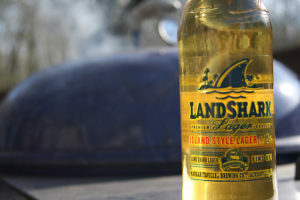 Catch yourself a Landshark when the sun’s out and you’re ready for some day drinking. You’re gonna need a bigger glass for something this refreshing.